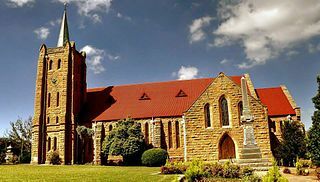 Fouriesburg is a small town situated at the junction of the R711 and R26 routes in the eastern Free State, South Africa. It is near the Maluti Mountains and Witteberg Mountains only 10 km from Caledon’s Poort border post, which gives access to Lesotho. During the late nineteenth century, this land Groenfontein was donated to the Orange Free State by a local farmer of Huguenot descent, Christoffel Fourie, for use as a temporary capital during the Second Boer War. It was the site of several engagements during the Boer War, and by 1902 the original settlement had been almost completely destroyed.Surrender Hill on route to Clarens can still be visited today. Feel free to order online a copy on detailed recordings at Protea Book Shop name Brandwaterkom Fouriesburg History. For more information about the military history of Fouriesburg, click here. 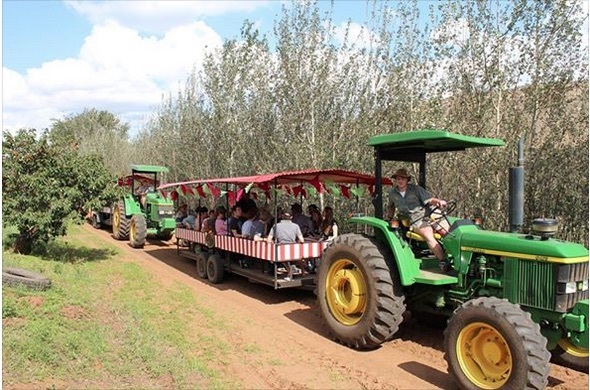 Take a tour of the Ionia Cherry Farm and experience the beauty and magnificence of the Eastern Free State, where you will have the opportunity to take photos, pick cherries and take a walk through the orchard. You can also experience cherry liqueur tasting. Don’t miss the opportunity to see and taste why they call cherries “fruit of the gods”. Cherries have pleased the palates of food lovers for centuries. Their ruby-red colour and sweet taste won cherries a noble place on the tables of Roman conquerors, Greek citizens, and Chinese noblemen. German missionaries brought cherries to South Africa by ship with early settlers in the 1900’s. The varieties included Giant Hedelfinger, Bing, Early River, Early Red, Elton, Renier. Some of the original cherry trees can still be seen on the farm today. These cultivars are still grown in the area. It is estimated that there are 500 hectares of cherry trees in the Eastern Free State concentrated mainly in the Ficksburg, Clocolan and Fouriesburg area. The first Cherry Festival was held in Ficksburg in 1968, launched by the local Jaycees with a street parade through town, a Cherry Ball and the crowning of a Cherry Queen. The Festival has grown over the years into an event during which more than 15 000 people visit the festival. The festival is beneficial to the Eastern Free State because it creates employment and is the region largest marketing tool. This historic farm where the label Ionia is produced is set amongst the rugged sandstone cliffs of the Eastern Free State Highlands, is blessed with a precise combination of soil and climate, and is set at the precise altitude – landmarked by a solitary rock-needle etched against the skyline known as the Pulpit – required to produce the perfect cherry! A farmer by the name of Van Rensburg started the cherry and fruit farm. Ionia the liquor brand name originates from a region in the Eastern Roman Empire, next to the Ionian see. Hearsay also mentioned that the boat name that brought the German Missionaries to the Southern point of Africa was called Ionia. Also, the small farmers train collection station’s name was called Ionia. 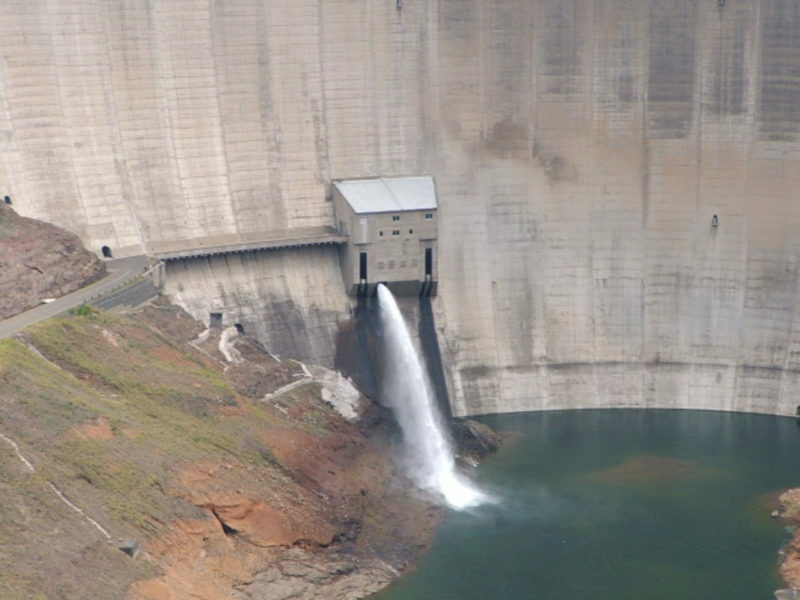 The Katse Dam, a concrete arch dam on the Malibamat’so River in Lesotho, is Africa’s second largest dam. The dam is part of the Lesotho Highlands Water Project, which will eventually include five large dams in remote rural areas. It is a beautiful drive from Fouriesburg Country Inn to Katse is 167 Km and will take approx 3 to 3.5 hrs to reach the dam wall. Please check the road conditions with Reservations/Front desk before departure. The water from the Katse runs under the mountain passing Clarens and into the Ash River/VaalRiver system about 10km from Clarens on route to Bethlehem. Lesotho offers a wide variety of beauty, culture, and adventure. See below for a list of places to visit in our area. it is the world’s highest diamond mine, with having the highest percentage of large diamonds (greater than 10 karats). An easy X minute drive to Letseng. Roughly an X hour drive from Afriski, where an impressive visitors’ center is breathtakingly perched on the edge of a 100m cliff overlooking the magnificent Lepaqoa Waterfall and Valley. Fossilized dinosaur footprints are found on the banks of the Subeng River very close to Buthe Buthe which is X minutes drive from Afriski. Just an X drive from Afriski. The cave is a large overhang in the Clarens sandstones, which is a typical feature of the Lesotho lowlands region. Originally used by the San and other Stone Age descendants, the walls contain important rock art and a rich archaeological deposit of Stone Age implements on the floor. 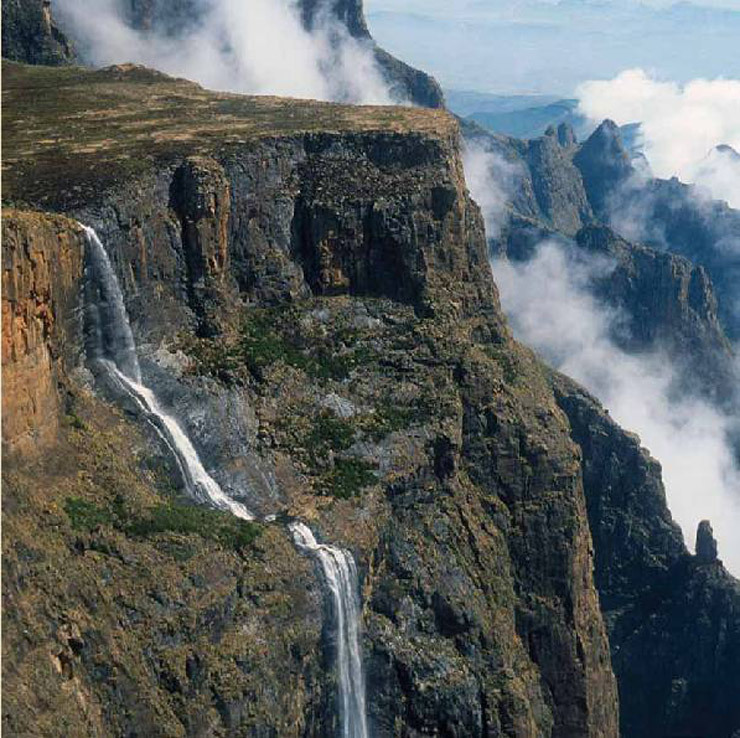 Over 5 600 hectares of extremely rugged mountains terrain is protected within this park, which includes one of the very few indigenous woodlands in Lesotho. Approximately two hours’ drive from Afriski. Boast various hiking trails, rivers, and waterfalls. Lesotho. You will require a valid passport. Self drive - Please check the road conditions with Reservations/Front desk before departure. Situated at the top of Sani Pass. From the lodge, the views are absolutely amazing. The quiet and peaceful surrounds make the stay very worthwhile. It is a wonderful very remote site. Remember that all supplies need to come up the pass. When you consider this and you see the lodge. It is quite amazing what you get. I rate this as a solid 4 based on my expectations: the remoteness and the constant turnaround in guests to experience a unique part of Lesotho and South Africa. Then gradually make your way down the Roof of Africa- Underberg or Himeville will greet you! All year long, note snow reports in winter. Those 4×4 enthusiasts looking for an exciting and rewarding challenge will find the ideal playground in the Maluti area surrounding. The Maluti Mountains provide a stunning backdrop for a wide variety of trails Afriski lodge and Oxbow Lodge can be used as the base. There are a variety of 4×4 routes to be explored in the area with the trails offering both half and full days’ trips. Among the many trails is the one to Katse Dam and this provides an excellent opening route with the added incentive of a guided tour of the dam wall and its infrastructure. Guests can follow the dirt road all the way to the dam wall where they will join the tar. Another popular route takes the Koa Mine road, taking the LDMT mine turn off and on to Solani Falls Village. There is a dead-end to the road but this is a scenic setting for a picnic lunch or braai. The old road that goes from Mapopaleng to Katse Dam is an option. 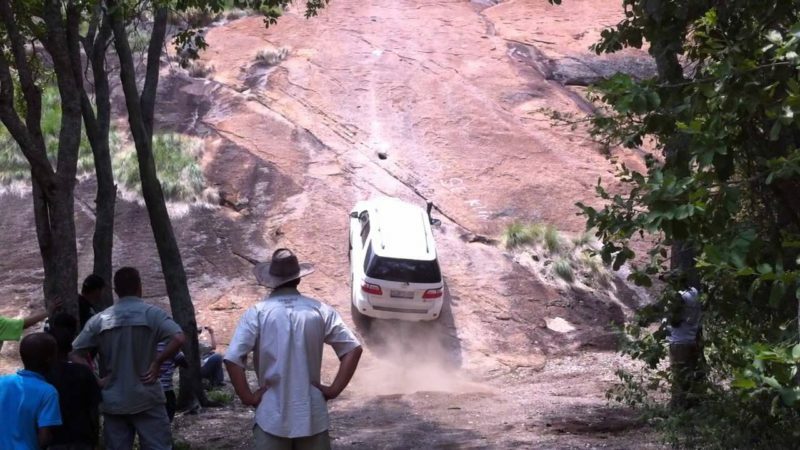 It is relatively easy going for about 75% of the trip but the rest of the journey is for 4×4 vehicles only and provides a daunting challenge for experienced drivers. It is a long trip (280km), and a full day, but drivers would meet up with the tar road at Katse Dam and return to Afriski via Lejone. Those looking for a half-day trip can follow the old road down to the Mapoka Camp site and then to Chalets in the Sky. This is an excellent 4×4 route and there are several rewarding river crossings. Katse dam via Mapoleng Route – this is a long drive, according to Mapsource approximately 8 hours, and guests are sure to stop and take photos, so will take longer to drive it. The village of Clarens welcomes you to join in the celebration with top performing South African bands, excellent food and of course your family and friends to enjoy the over 70 handcrafted brews on offer. 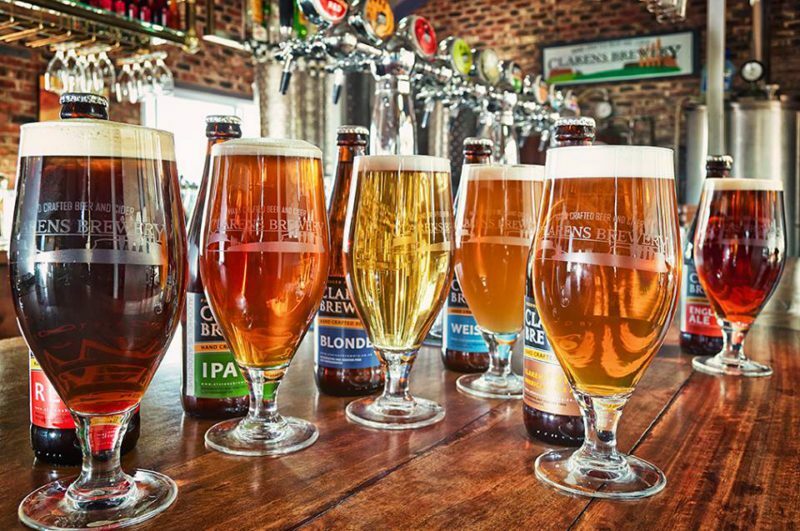 Start building up your thirst for an incredible lineup of almost two dozen of South Africa’s most distinguished breweries complimented by some of SA’s best entertainers. With all the seasonal the mood changes and with opportunities that hide around every corner. If you are like me taking pics with my cell phone, or if you are a more geared up with a good camera, this is a weekend away paradise for photographers. Spring offer you the cherry blossoms and fruit tree blossoms an abundance of pale pinks to whites, end of August to early September is best times for this color abundance. Or take your camera and walk Fouriesburg town streets and look for an opportunity, meet new and old with spring flowers and the Maluti backdrop and Queen Vitoria towards Lesotho. sandstone etc. Take your camera and walk the small country town of Fouriesburg for opportunities. Look at for the weather patterns great opportunities await you. Take a short stroll down the street and let the opportunities come to you. Let opportunities come to you. This image was taken at the back Fouriesburg Country Inn. Autumn flashes of golden popular trees and the backdrop of the end of the growing season and with blue skies like only the area can offer. Freshly plowed red soiled fields and blue skies set with beiges who cannot resist to walk in the fields and crap the opportunities. This color of Autumn was captured on the way to Clarens as you hit the turn off to Old Mill Drift looking back at Fouriesburg direction. Winter wonderland, gear up with water boots, warm jackets, as early morning rise will get you that perfect frost and frozen water streams with ice crystals in the ray of the first sun. You can catch the first rains before the snow. 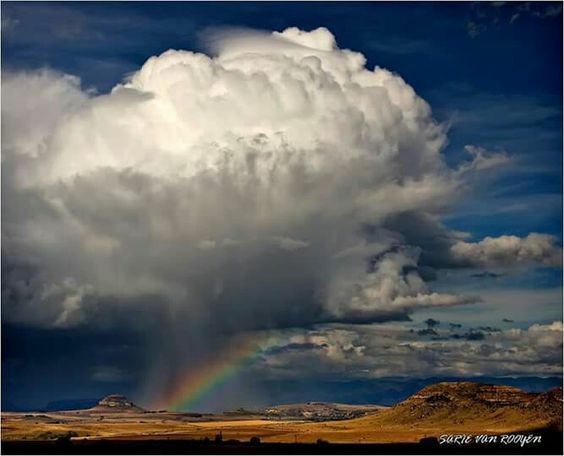 In this image from Sarie Van Rooyen she captured Slangkop at Foureisburg from the Ficksburg Rd. This is such a lovely style of capturing as you don’t need seasons to dictate the mood or drama etc. Our tip: if heading to Boesmanskrans at night, make sure you have good directions, for although the road is good during the day, it is not as easy to negotiate in the dark. Rather book accommodation at Fouriesburg Country Inn. 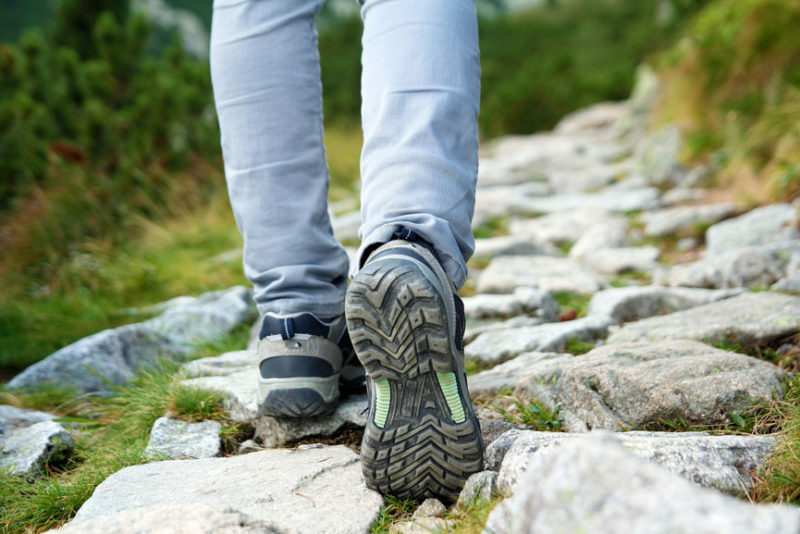 Remember your perfect hiking shoes at Cape Union Mart and ultimate comfort. This is one of the better-marked hikes around Fouriesburg and Clarens. It is also incredibly beautiful, set right in the surrounding mountains. Best to book one-night accommodation at Fouriesburg Country Inn and head there in the morning. What differentiates this hike from others in the area, is the incredibly beautiful krans, green even during the drier months of winter. The initial part of the hike heads through the krans and then up by way of a tire ladder with chains on either side. Considering that the climb is up a sheer vertical rock face, the ladder is essential and far easier to negotiate than a chain ladder. From the top, the trail descends underneath the krans, where you will pass a series of lime deposits and natural water holes (perfect for summer dips). Keep your eyes peeled for a variety of antelope, baboons, dassies and birds that include wild goose pairs that breed in the area. The exact GPS coordinates are unknown and have been placed in Fouriesburg. Start and finish at Boesmanskrans farm near Fouriesburg in the Free State. Artists are spoiled when it comes to landscape choices. The famous artist Jacobus Hendrik Pierneef (1886 – 1957) loved the sandstone cliffs and running of the mountain dews. 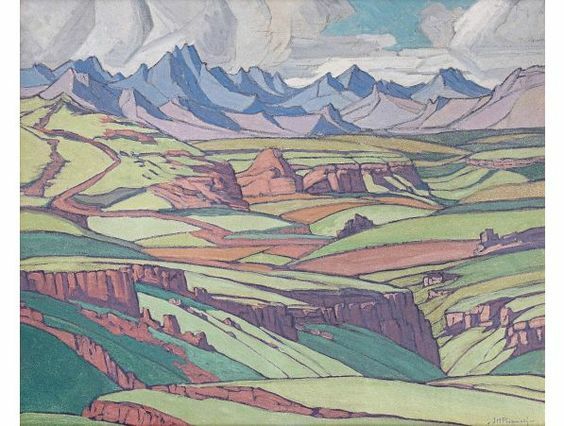 Pierneef inspiration was captured in his works during his travels of the region. Today so many artists stay in the region and create beautiful pieces, with the creative and calm country views in the area it’s an artist heaven. Today artist like Jan Smit also creates beautiful art pieces deriving from creativity found in the region. Feeling like visiting the Alps but with a limited time, welcome to Lesotho and the Afriski Resort, about 90 min drive from Fouriesburg Country Inn. The “Lesotho Alps” or the Maluti Mountains offer the beginner ski adventurer the option of training and experiencing the snow from an easy 3.5 hrs drive from Johannesburg or Bloemfontein to Fouriesburg. We suggest that you overnight at Fouriesburg Country Inn and make this a day trip up, several visitors order a ready packed breakfast and picnic basket to take along on this experience. Kapoko Park is a FreeStyle zone where you can find man-made obstacles such as jumps, rails, and fun boxes. We stand proud as the only FreeStyle SnowPark in Africa since 2009, providing our guests with a SnowPark of international standard for 85% of the winter season. Kapoko Park has got a dedicated team of ‘Parkies’ that keep the Park maintained by hand shaping and sculpting during the day and grooming at night, giving our guests a perfectly shaped park every morning. Kapoko Park houses features for all levels of riders and skiers, from small to large jumps and fun rails setups for everyone. We love nothing more than seeing new faces in the Park enjoying the features with us, so come and join us in our playground. 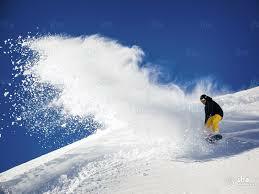 The rental shop offers a full range of ski and snowboard equipment of international quality and latest brands. All of our equipment is imported from Austria and caters for all ages from children as young as 4 years all the way through to adults, with the largest boot size being a size 15. Helmets may also be rented. Please note that it is advisable to pre-book your equipment and that it may take up to an hour to fit and collect your equipment so it is best to make the rental shop one of your first stops when visiting the resort.